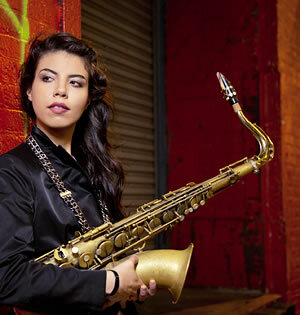 Last year this 24-year old tenor saxophonist became the first female since 1987 to win the prestigious Thelonious Monk Saxophone Competition in Washington, DC. The jury included jazz superstars Wayne Shorter and Branford Marsalis. Melissa Aldana is a native of Santiago, Chile. 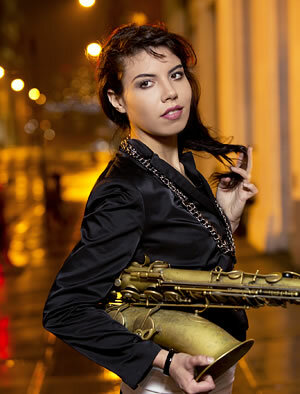 She came to the US in 2006 to attend the Berklee College of Music. Following completion of her studies in 2009, she moved to New York City where she performed at such legendary venues as Lincoln Center and The Blue Note. Her hard tone is perfect for carrying on the tradition of classic jazz. She has also formed her own group called The Crash Trio. Melissa Aldana, welcome to Vienna!